The rampant treasure hunting destroying Bulgaria’s archaeological sites on a mass scale has started to decline in the past 2-3 years, believes archaeologist Assoc. Prof. Dr. Konstantin Dochev, head of the Veliko Tarnovo Branch of the National Institute and Museum of Archaeology at the Bulgarian Academy of Sciences. While Dochev’s claim is disputable since outrageous treasure hunting raids are often reported all around Bulgaria, he has referred to his observations from the District of Veliko Tarnovo in Central Northern Bulgaria where he says treasure hunting is almost non-existent. The District is home to Veliko Tarnovo, once known as Tarnovgrad, the capital of the Second Bulgarian Empire (1185-1396 AD) as well as a lot of other archaeological sites. “This is due to the good work of the Interior Ministry. 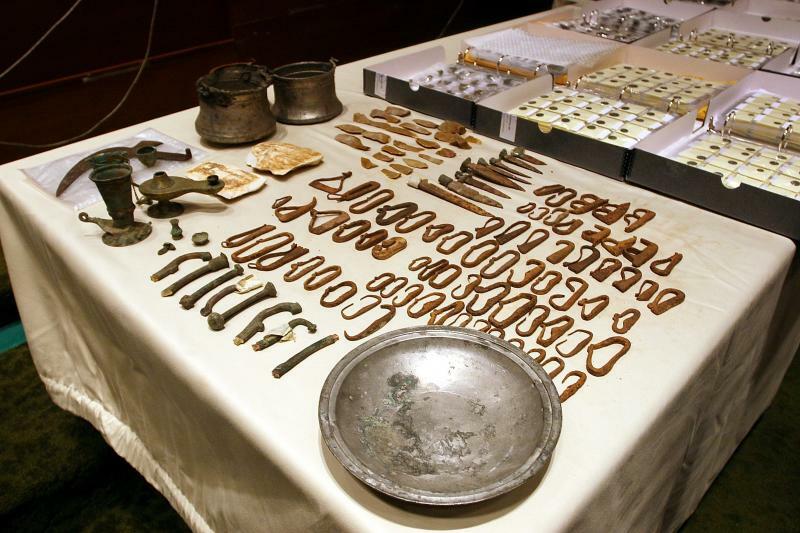 They have captured large groups of treasure hunters, mainly on the borders, with large shipments of smuggled artifacts," he has explained, stressing that, “Wherever there is a rich cultural heritage, there is treasure hunting,"Dochev has told Radio Focus – Veliko Tarnovo in an interview. He also notes that treasure hunting has been an occupation since the time of the pharaohs in Ancient Egypt. In Bulgaria, treasure hunting was an occupation for entire clans in the period of the Ottoman Turkish yoke (when Bulgaria was part of the Ottoman Empire), and has been an occupation for some ever since, Dochev elaborates. “The worst part is that these people are wrecking fortresses, tombs, water fountains. In our region, there is perhaps only a single Roman water fountain from the 4th-5th century AD that has been left intact," he notes. “Organized groups are the most dangerous ones. These treasure hunters hire a lot of people, and pay them per item, and then take away all valuable finds," Dochev adds. He points out that thousands of archaeological artifacts and coins smuggled to the USA, Canada, and Western Europe have been returned to Bulgaria so far. In his words, invaluable archaeological items discovered by the numerous treasure hunters in Bulgaria and smuggled abroad by the powerful antique trafficking mafia have been returned thanks to the expertise of archaeologists from Bulgaria’s National Institute and Museum of Archaeology and National Museum of History, which has convinced Western governments that the respective treasures originate in Bulgaria. He points out to cases of returned antiques from Canada, the USA, Italy, Germany, and Austria. “The [Canadian] government believed our research and explorations and returned the coins and artifacts even without the signing of a culture exchange agreement," the archaeologist explains, referring to a case in 2011 when some 21 000 coins were sent back from Canada to Bulgaria. “We have also contributed to the signing of a culture exchange agreement with the USA because we provided evidence that one of the large shipments containing thousands of coins originated in Bulgaria. Our research has contributed to the recovery of a large number of coins from Italy, Germany, and Austria,"he adds. In his words, in the past 4 years he himself participated in some 50 expert reports facilitating the recovery of smuggled Bulgarian archaeological artifacts. He also explains that the security of the two major fortified hills of the medieval Bulgarian capital Veliko Tarnovo – Tsarevets and Trapesitsa, including the Holy 40 Martyrs’ Church (built in 1230 AD by Bulgarian Tsar Ivan Asen II) has been tightened, and that the Ancient Roman and Early Byzantine city Nicopolis ad Istrum (founded in 101-106 AD by Roman Emperor Trajan in honor of his victory over the Dacians) is also guarded well against treasure hunting raids. 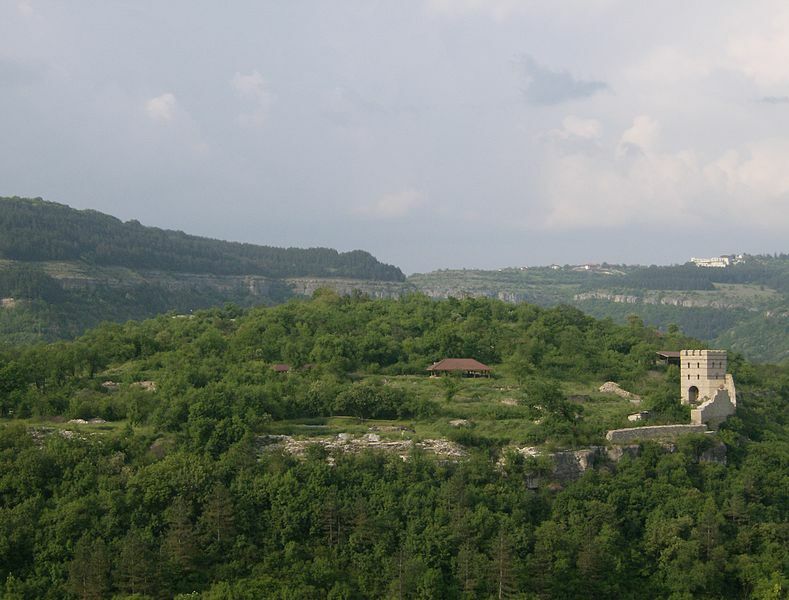 Dochev, who has been excavating the Trapesitsa Hill in the capital of the Second Bulgarian Empire, Veliko Tarnovo, has announced the excavations are set to continue in the summer of 2015 with funding from the Bulgarian government. “A total of BGN 8 million (app. EUR 4 million) have been requested. The government allocated BGN 1.5 million last year, and BGN 750 000 the year before that. The Deputy Minister of Culture said that the funding will focus on ancient and medieval sites as well as Ancient Thracian sites. All of those sites will be attractive for both Bulgarian and international tourists," the archaeologist elaborates. He believes that the excavations in Veliko Tarnovo, and especially on Trapesitsa Hill, will help boost the government funding.